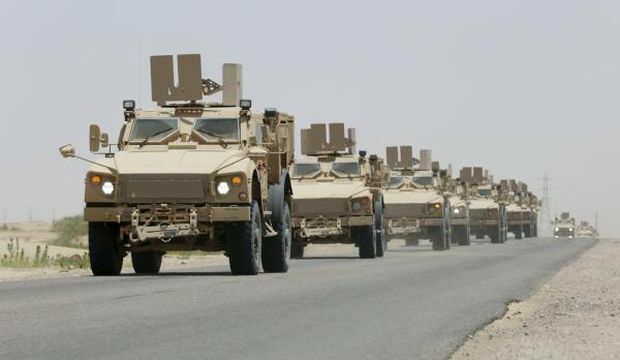 Sana’a and Riyadh, Asharq Al-Awsat—More Arab forces from the anti-Houthi coalition led by Saudi Arabia are heading to Yemen, as the date for an impending operation to liberate the country’s capital Sana’a fast approaches, a high-level Yemeni source told Asharq Al-Awsat on Monday. The source, who requested anonymity, said the forces included those from countries like Qatar and Egypt, and were heading to areas in the east of the country and not just the central province of Ma’rib, where Saudi and Emirati forces have been arriving since the end of August. Recent reports say around 1,000 Qatari soldiers are being sent to Yemen via the Wadia border crossing between Yemen and Saudi Arabia. They are expected to be part of the ground operation to retake Sana’a from the Houthis via the Ma’rib, Saada, and Al-Jawf provinces to the north, east, and northeast of the capital respectively. Reports have also suggested Sudan will send 6,000 commando forces to Yemen in the coming days to participate in the Sana’a offensive. Sources have told Asharq Al-Awsat the operation to retake the capital is now approaching “zero hour.” The Houthis have now declared a state of emergency in the capital—which they have controlled since September 2014—and in the their northern stronghold of Saada province. In recent days the coalition has increased its air assaults over the capital, pounding a series of Houthi targets and those belonging to forces loyal to Yemen’s ousted former president Ali Abdullah Saleh, who along with Iran has backed the Houthi rebels. The group launched a coup in February following their occupation of Sana’a, deposing internationally recognized President Abd Rabbuh Mansur Hadi and his government. The Saudi-led coalition is seeking to reinstate Hadi and the government with the help of Yemeni loyalist forces on the ground. On Monday a Yemeni government official told Asharq Al-Awsat that Hadi, currently residing in the Saudi capital Riyadh, in the last few days rejected a Houthi proposal to form a “national unity government” between the Shi’ite group and Hadi’s cabinet. The proposal was carried to Riyadh by United Nations Special Envoy to Yemen Ismail Ould Cheikh Ahmed from the Houthis, who also requested a period of 60-days for the proposed interim government. This comes as the Houthis lose major ground in Yemen, with the vast majority of the country’s southern area including the strategic port city of Aden now back under the control of the government thanks to gains made by loyalist forces and the Arab coalition. In a surprise move, Houthi leader Abdul Malik Al-Houthi last month made concessions to the government, admitting defeat in Aden and calling for a “political solution” to the crisis that has gripped the country since the group overran Sana’a almost a year ago. Nayef Al-Rasheed contributed additional reporting from Riyadh.